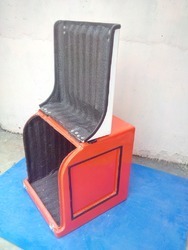 We are a leading Manufacturer of courier delivery boxes from New Delhi, India. We are engaged in manufacturing & supplying best quality Courier Delivery Boxes. We offer these boxes to our customers at reasonable prices. These are manufactured using synthetic resin and reinforced with glass fiber. We also can make customized products according to customer design, sample, drawing. Looking for Courier Delivery Boxes ?